Lock in a great price for Windsor Hotel & Tower – rated 8.9 by recent guests! They made a good gin and tonic. Really good location. Mostly clean except for the poop on the door. Lobby has a piano. 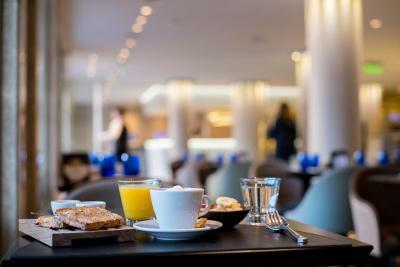 Comfy beds, fantastic location, friendly and accommodating staff, nice pool on the rooftop, and delicious breakfast! All that a traveler needs. 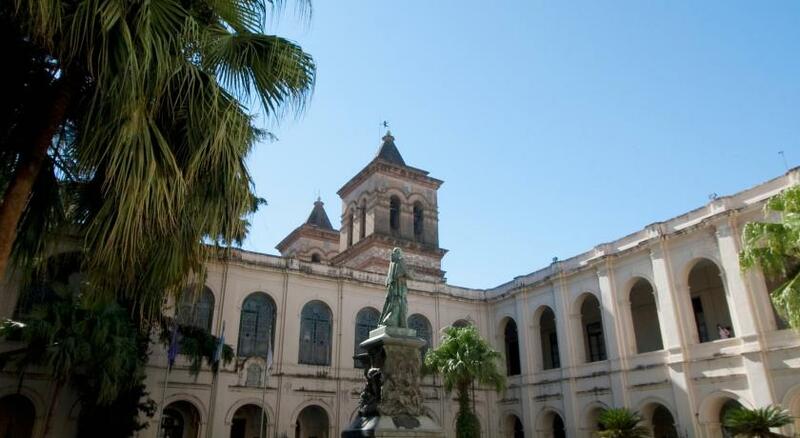 The UNESCO listed Jesuit Block is 10 minutes walk from Hotel Windsor. The staffs, the location, the comfy and clean bed and bedding. The staff was very helpful and attentive. Food and drinks were excellent. Room was spotless and comfortable. Very nice and comfortable hotel in a fantastic location in the historic centre of town. The room was big and comfortable, and the extra bed was an actual bed (not sofa bed). The wi-fi worked very well. Breakfast included a good selection of items. Staff were friendly and attentive. The hotel uses a ‘valet’ process for parking (which costs extra - as advertised), which suited us fine. The doormen met us across the streets with umbrellas during a particularly bad rainstorm. Overall, we were very pleased with our stay. Excellent place to stay, right in the middle of Cordoba! 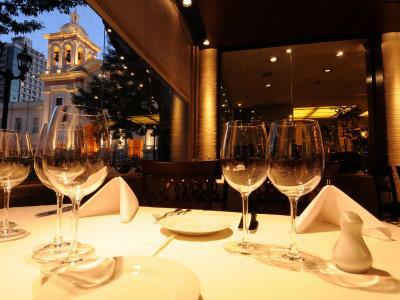 Very friendly staff, bed was extra-comfortable, and the restaurant - SIBARIS - had excellent food & service! Good location, nice facilities and helpful staff. The food and drinks at the hotel restaurant were a good value - a decent quality for an ok price. Windsor Hotel & Tower This rating is a reflection of how the property compares to the industry standard when it comes to price, facilities and services available. It's based on a self-evaluation by the property. Use this rating to help choose your stay! 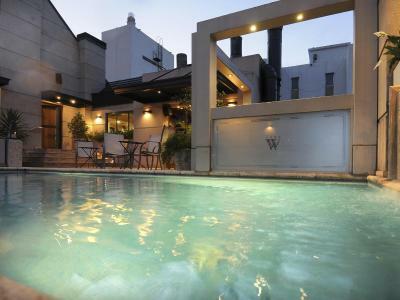 One of our top picks in Córdoba.Boasting a heated rooftop swimming pool and luxurious marbled interiors the Windsor Hotel & Tower offers free WiFi access and city views from every room. 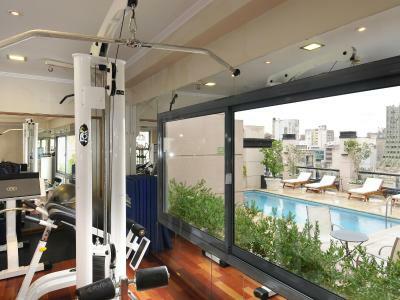 Massage sessions can be booked and personal trainers are available at the gym. 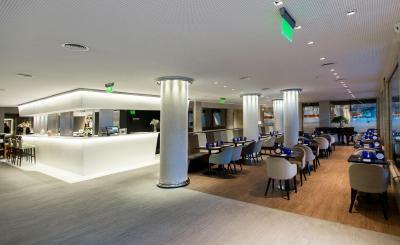 Windsor Hotel & Tower is in the heart of Cordoba's cultural scene. 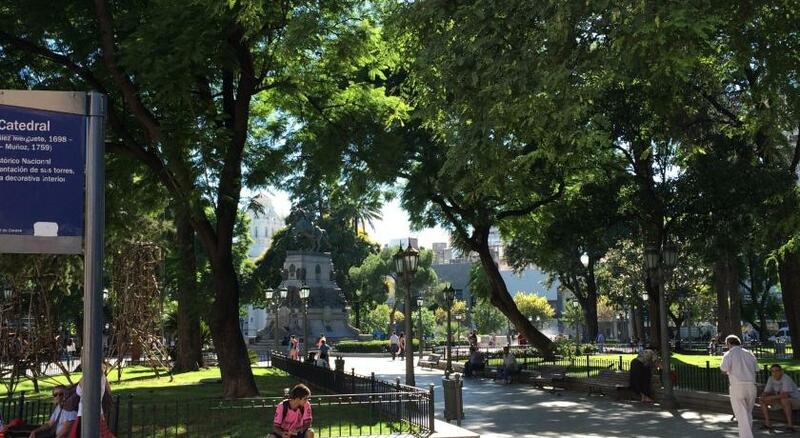 The historic Cathedral is 650 feet away and the Latin American Craft Museum is 1,000 feet away. 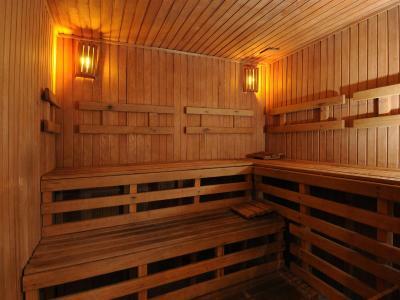 Guests staying here can relax in the sauna room after a long day of sightseeing. Air-conditioned rooms feature parquet or carpeted floors and upholstered chairs. There are elegant wood furnishings, mini-bars and flat-screen cable TV. Guests can choose a specific pillow from a choice of 5 different types. A buffet breakfast with croissants and regional jams is provided daily. 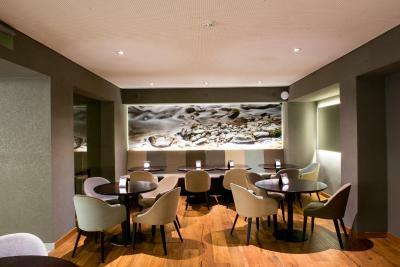 Guests can dine to live music in a sophisticated setting. Ambrosio Taravella Airport is a 20-minute drive from the Windsor. The hotel offers 24-hour front desk assistance, shuttles and car rental. When would you like to stay at Windsor Hotel & Tower? 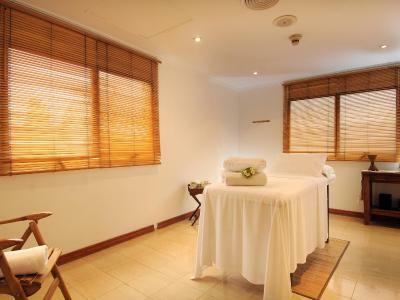 This air-conditioned room features flat-screen TV and parquet or carpeted floors. 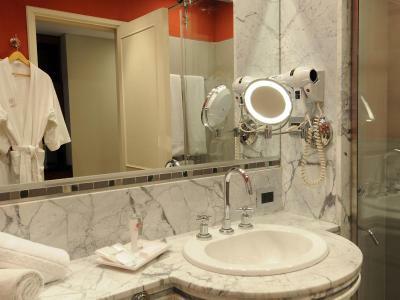 The suite features elegant décor, a spacious bedroom, air conditioning, and a luxury bathroom. There is a 5-type pillow menu. This room features a separate area with a work desk and a sofa, air conditioning, and a luxury bathroom. The pillow menu includes 5 different types of pillows to choose from. Welcome to Windsor Hotel & Tower, located in a recently modernized area in the historical, cultural and financial center of Cordoba City. 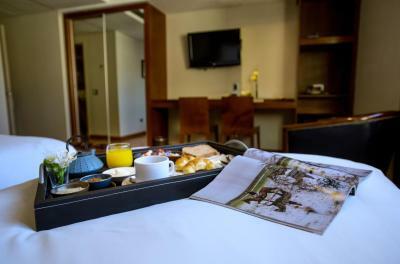 The Hotel is not only some meters away from the Jesuit Block and just opposite the San Francisco Church but also surrounded by the city main tourist attractions and cultural places such as theaters, museums and commercial centers. 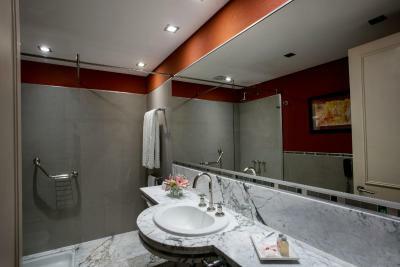 It is 30 minutes away from the International Airport Ambrosio Taravella. 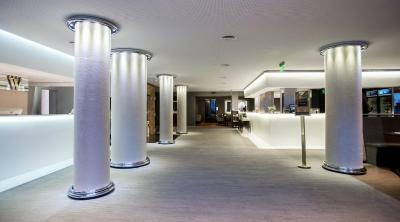 A personalized assistance and great deal of care given to each detail distinguish this exclusive Hotel. A highly qualified staff gets ahead of each concern and responds to the guests’ highest demands. Quality, comfort and elegance are the basis of our service, which permanently renews with innovative proposals and intends to go beyond the expectations of those who arrive at our city. House Rules Windsor Hotel & Tower takes special requests – add in the next step! Windsor Hotel &amp; Tower accepts these cards and reserves the right to temporarily hold an amount prior to arrival. Windsor Hotel & Tower accepts these cards and reserves the right to temporarily hold an amount prior to arrival. Please note that airport shuttles should be requested in advance via email. While the room looked spotless clean, it had a stale smell to it that hit us quite hard whenever we entered the room. The A/C was a bit too cold for our taste in the common areas (including the breakfast area) but nothing an extra layer cannot fix. Its nice hotel, I guess very centrally located. I stayed only night due to my connecting flight and everything was perfect. They did not want to store an extra baggage once I checked out to meet new places in the city. The staff were uniformly charming and helpful......just remember to take your own universal plug for the basin. (eventually we had to find a ferreteria and buy our own!). 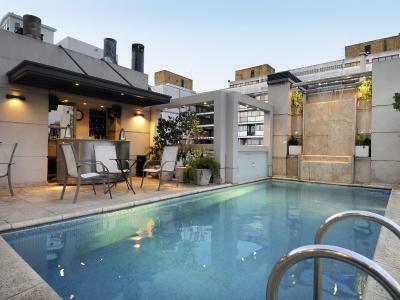 Central location, extremely helpful staff, very comfortable room, rooftop pool, great restaurant, could not fault it. Room (furniture) was a little outdated. Breakfast was delicious with a lot of choices. Excellent hotel, the best we experienced in Argentina so far. 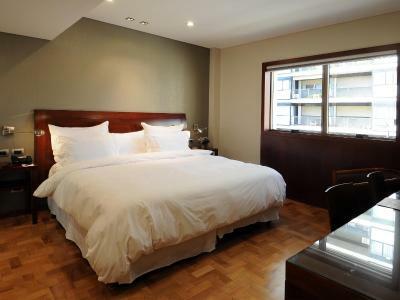 Great locations right in the historical center, spacious and pleasant rooms. Very nice upgrades offered as we were in our honeymoon, and also very pleasant to be welcome in our own language (French) even if we can speak Spanish. 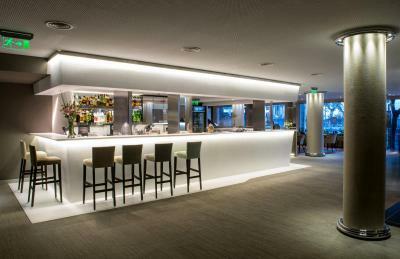 The facilities (be it the restaurant, bar, sauna or pool) are also very nice for a more than reasonable price. We would like to thank especially Nicolas who made us feel very welcome.